Artist: Luther Vandross. Title: Live Radio City Music Hall 2003. Genre: R&B & Soul. Release Date: 2003. Format: CD. Item Condition: New and unplayed. Take You Out. Here and Now. The Night I Fell In Love By Luther Vandross Epic EK 39882. Case has some scuffs. CDs are good. Buy one cd with $2.75 shipping, 2nd and 3rd cd SHIP FREE!!!!!!! Always and Forever (RADIO EDIT). This CD WAS A PROMO THAT WAS SENT TO RADIO STATIONS ONLY. THE PROMO CATALOGUE NUMBER IS : ESK 77735. Always and Forever (album version). MOST of the ART WORK IS EXCLUSIVE TO THIS CD AND CAN ONLY BE FOUND HERE and CAN NOT be found anywhere else. LUTHER VANDROSS GREATEST HITS!! 7 number one hits!! They were quick & accommodating. My order was exactly as advertised & it arrived quickly. - Fallon Savoie. Disc Repair Service. - Natasha Lynn. 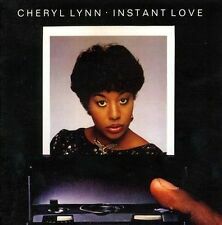 Artist : Luther Vandross,Cheryl Lynn. Format : Import,Original recording remast. Instant Love. Title : Instant Love. Binding : Audio CD. Condition : Very Good. Release Date : 2012-08-07. Product Category : Music. 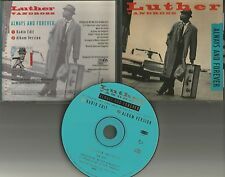 LUTHER VANDROSS-Original HIT CD -"Songs"-Epic Records -13 Songs.all CLASSIC HITS! -1994-Singles: "Endless Love"; "Always & Forever"; "Love The One You're With";"Going In Circles"-NM. Special Attributes. Author/Artist: Luther Vandross. The Classic Christmas Album. Condition: Very Good. Author/Artist: Vandross, Luther. Format: Audio CD. Take You Out. This CLEARANCE ITEM Item may have a cracked case and/or a couple of light surface scratches but all should play perfect. Those who have only been exposed to his smooth croon on record are in for a treat. The band is tight, with Nat Adderley Jr. as leader and on keyboards, but vocals are the thing. A slower "Here and Now" is monolithic and the 13 minutes of "Superstar" fly by like it was nothing. Here and Now - Luther Vandross. Anything for You - Gloria Estefan. Sexual Healing - Marvin Gaye. Artist Various Artists. When I See You Smile - Bad English. Can't We Try - Dan Hill/Vonda Shepard. Label: WIENERWORLD. Manufacturer: WIENERWORLD. Language: English. Weight: 82.00 grams. Length: 128 mm. Width: 141 mm. Here is a great oldies set that consists of 5 Frank Sinatra karaoke cd g's and 5 R&B karaoke CD G's. Here And Now - Luther Vandross. Don't Want To Be A Fool - Luther Vandross. (If Loving You Is Wrong) I Don't Want To Be Right - Luther Ingram. CD not played, realized we already have this CD. Photo's of Front and back of CD, are listed show no markings on the disc. It is up to YOU to prequalify an item's suitability for your needs. Keep On Loving You 3:22 REO Speedwagon. Stop To Love 4:25 Luther Vandross. Conga 4:16 Gloria Estefan & Miami Sound Machine. Sexual Healing 4:00 Marvin Gaye. THE PROMO ONLY CATALOGUE NUMBER IS: a21426. Length: 142 mm. Width: 124 mm. Most of these CD's are from my own collection. Most have been played and should play fine. To see all the latest additions. Is used but cd plays great. Case shows normal wear. Overall, a nice, hard to find CD. Great for your collection. Title: The Classic Christmas Album. Notes: The CD shows very minor wear if any at all. Condition: Used - Good. 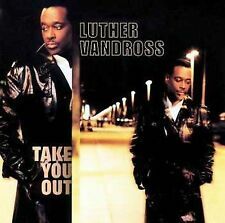 THIS IS LUTHER VANDROSS - "TAKE YOU OUT" SINGLE CD - 2001. IN VERY GOOD CONDITION. THERE ARE LIGHT SCRATCHES BUT PLAYS PERFECTLY. I WILL GET BACK TO YOU RIGHT AWAY. 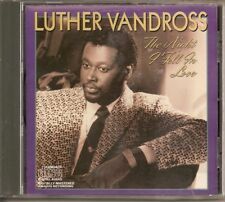 Live 2003 At Radio City Music Hall - Luther Vandross Compact Disc Free Shipping! Live 2003 At Radio City Music Hall. Title Live 2003 At Radio City Music Hall. Format Compact Disc. 5 out of 5 stars - Live 2003 At Radio City Music Hall - Luther Vandross Compact Disc Free Shipping! 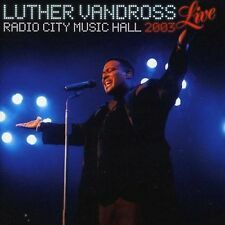 18 product ratings18 product ratings - Live 2003 At Radio City Music Hall - Luther Vandross Compact Disc Free Shipping! LUTHER VANDROSS & MARIAH CAREY. Slightly scratches on case. JAPANESE JAZZ TBM. ENDLESS LOVE RARE. RATES FOR 1 CD. IMPORTANT NOTE. MIDDLE EAST. Countries and regions where underwriting suspension are occurring. Author/Artist: Luther Vandross. Notes: Item in good condition. Condition: Good. The Cd is used but still in very good condition. No skipping on CD/DVD. VANDROSS,LUTHER Live Radio City Music Hall 2003. Movies & TV. Category: Music. Release Date: 2003-10-28. 65,000 classic movies and TV shows on DVD, Blu-ray and VHS. And then we pass these savings on to you! THERE ARE 20 OF HIS GREAT CLASSIC ROCK HITS IN THIS 2 CD BOX SET AND THE DATE ON THE CD'S ARE 1989. THE CONDITION OF THE CD'S ARE VERY GOOD, THE JEWEL CASE IS GOOD, AND THE INSERTS ARE VERY GOOD. By Luther Vandross duet with Darlene Love. by Luther Vandross;Chaka Khan. 1 The Christmas Song (Chestnuts Roasting On an Open Fire). 5 With a Christmas Heart. 7 A Kiss for Christmas. 8 Every Year, Every Christmas. Format: CD. Cases may not be in prefect condition. May have cracks. New CD: Luther Vandross The Classic Christmas Album. The Christmas Song. With A Christmas Heart. A Kiss For Christmas. Every Year, Every Christmas. This Is Christmas. May Christmas Bring You Happiness. GREAT CONDITION PREVIOUSLY PLAYED -. MARVIN GAYE. ALL REGION CD PLAYS WORLDWIDE. ORIGINAL ARTISTS. CHECK OUT OUR OTHER CDS! CHECK OUT OUR 100%. BEFORE 3 PM EST. GREAT FOR GIFT GIVING ! 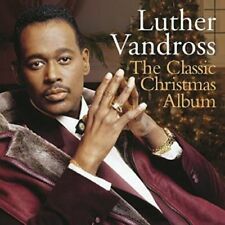 Luther Vandross-The Classic Christmas Album (BRAND NEW CD) FREE SHIPPING !! 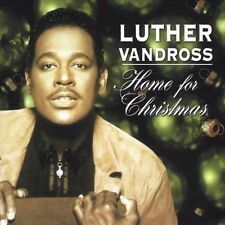 5 out of 5 stars - Luther Vandross-The Classic Christmas Album (BRAND NEW CD) FREE SHIPPING !! 3 product ratings3 product ratings - Luther Vandross-The Classic Christmas Album (BRAND NEW CD) FREE SHIPPING !! The jewel case shows normal wear. The original artwork is included. The CD shows very minor wear if any at all. The case may have stickers, markings, or sticker adhesive on it. All items ship Monday - Friday, in a secure bubble mailer. The item or product has not been tested! So be sure to acquire your selections while supplies last; as many CD’s listed are out of production now. Display (best suited for framing or as a temporary filler for a collection). Many things are being placed up for sale, including my entire personal and cherished collections – including CD’s, vinyl, and tapes.